Respondeat Superior (Employer Liability) in Florida Car Accidents – Donaldson v. U.S. | The Law Firm of Anidjar & Levine, P.A. 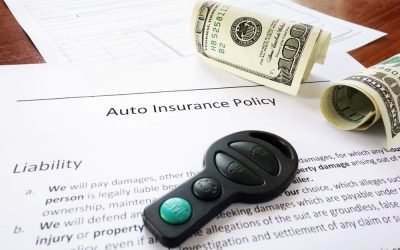 Home » Blog » Respondeat Superior (Employer Liability) in Florida Car Accidents – Donaldson v. U.S. Whether it’s for the U.S. government, Alligator Al’s Fried Crocodile Farm or the local Chinese restaurant, a person who causes an accident while offsite, but on the job may not only be liable for any injury caused, but may also have made his or her employer liable. The District Court for Middle District of Florida considers the issue – often referred to as respondeat superior – in Donaldson v. U.S.
Robert Donaldson was injured in an accident in Florida when the bicycle he was riding was struck by a car driven by Michael Ridge, a Lieutenant in the U.S. Navy. Ridge was traveling with a military baseball team called “the U.S. Military All-Stars” at the time of the accident. Donaldson and his wife sued Ridge in state court in Seminole County. The United States later substituted itself as the defendant and removed the case to federal court in the Middle District of Florida. The Federal Tort Claims Act allows a private individual to sue the U.S. government “for injury or loss of property, or personal injury or death” caused by the negligence of an employee “while acting within the scope of his office or employment…” In this case, the parties disputed whether Ridge was acting within the scope of his employment at the time of the accident. Ridge and his superior both referred to the baseball team as a “recruiting tool” for the military. While team members paid their own travel expenses, Ridge was assigned to the team under temporary military orders. He was driving the van with one team member as a passenger en route to pick up the rest of the players at a hotel at the time of the accident. Ridge testified that he stopped at a red light, looked both ways, and started into a right turn when the van was struck by Donaldson’s bike. The district court found that Ridge was acting within the scope of his employment at the time of the accident. Under state law, “an employee acts within the scope where the action at issue: 1) is the kind he is employed to perform; 2) occurs substantially within the time and space limits of the employment; and 3) was activated at least in part by a purpose to serve the master,” the Court explained. Ridge was driving the van as part of his “special mission” as a member of the baseball team, for which his employer had assigned him. Given this assignment, the Court found that Ridge’s travel to pick up the team was similar to a military officer’s travel from one duty station to another, meaning it was in the limits of his employment. Finally, the Court ruled that Ridge was acting in service of his employer because he was driving in furtherance of the team’s tour of the country, which was described as a method of recruitment. As a result, the Court ruled that Ridge was acting “in the line of duty” at the time of the accident and therefore that the U.S. government was the proper defendant under the FTCA.